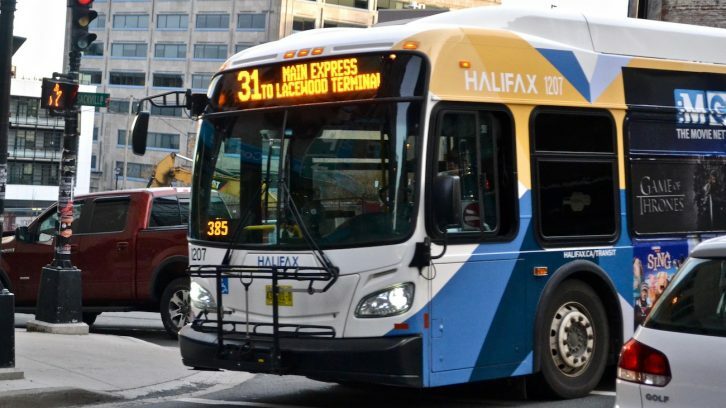 Halifax Transit will receive over $3 million in upgrades to its CCTV surveillance system for buses, after a request was approved at regional council Tuesday. The project is an improvement on the CCTV cameras and the Digital Video Recorders that were added to Halifax buses in 2008. Now, at almost 10 years old, the technology is outdated. The upgrade will improve upon the installed systems and add two more externally mounted cameras to each side of the vehicles. These cameras will provide wider video coverage in the event of a potential accident. The existing forward-facing cameras will also be replaced with high definition ones. “It’s great to see the transit technology growing up to move forward,” said Deputy Mayor Waye Mason during council. Project work is expected to be completed by March, 31. A maximum of two buses will be withdrawn from service per day to minimize impact to commuters. The purpose of the upgrade is to discourage illegal or improper behaviour like vandalism, theft and assault. It’s also to improve the tools and processes required to investigate these incidents, as well as injuries, accident claims and general customer complaints. In June 2016, council approved the submission of 16 proposed transit projects that amounted to a total budget of $58.21 million. The funding was approved under the Public Transit Infrastructure Fund provided by the Government of Canada. A request for proposal, or REP, was put forth in January to find a company that could build upon the already-installed technology. Proposals were received from eight companies. The group handling the evaluations included staff from Halifax Transit and a security consultant representing Halifax Regional Municipality (HRM) Corporate Security. They used a scoring method to determine the best company; each of the companies given marks in different categories for a total score of 100 possible points. Seon Design Inc. scored the highest at 85.74, and council unanimously approved the company for the work. Not every councillor was happy with the selection process. Coun. Matt Whitman asked Steven Terry, senior procurement consultant at the HRM, why they weren’t going with the lowest bidder. “This is an REP and in an REP process the highest scoring component is always recommended,” said Terry. The runner-up company, Stanley Convergent Security Solutions, scored 82.92 out of 100. Their evaluated cost was $3,201,730, while Seon Design Inc.’s was $3,231,901. Whitman expressed his concerns with the ranking system, saying the two companies were very comparable.